Get the inside scoop on the haunted history of writer Edgar Allen Poe on this 1.5-hour walking tour in New York City. Your in-the-know guide will fill you in on the ghostly presences in Washington Square Park and its surrounds. Walking distance is about 1 mile (1.6 km). Meet your guide and tour group near Washington Square Park, then set off through the neighborhood on foot. Listen as your guide separates fact from fiction in the many haunted tales surrounding New York City's ghostly presences. Search for the spirits of the late great first lady Eleanor Roosevelt and her dog Fala, the ghosts of Washington Square Arch, and the New York University Library. Of course, there will be many tales about writer Edgar Allen Poe as well. Spend some time in 'ghost central,' Washington Square Park. 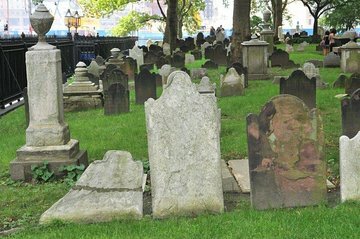 Walk away from your tour after 90 minutes with a better understanding of New York City's haunted history.